NingXia Nitro combines 100% pure, therapeutic-grade essential oils with naturally powerful ingredients to lift mental clarity and focus while also providing a surge of energy when needed. 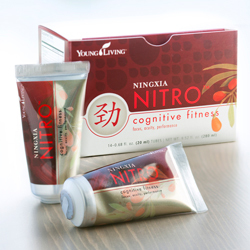 Want to know what is in NingXia Nitro? If you want to know where you can get yourself some NingXia Niro, just contact me. I’d love to help you out. Previous postMay Essential Rewards Order!!!!!! Next postTuesday Tip – What is Essential Rewards?